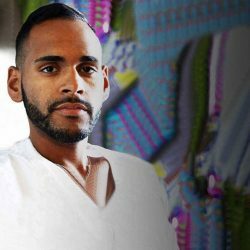 When Angel Colon decided to go to Pulse Nightclub in Orlando for a fun night with friends on June 11, 2016, he had no idea that by the early morning hours of June 12, his life would be changed forever. He will discuss his experience as a survivor of one of the deadliest shootings in the country on Wednesday, October 4, 2017, at 7 p.m. in the Perkins Student Center Auditorium. This presentation is free and open to the public. Born and raised in Massachusetts and a current resident of Orlando, Florida, Colon is a dynamic keynote speaker who aims to inspire the audience with love and hope. A compelling storyteller, he will share his life experience, the obstacles he faced prior to the deadly attack at Pulse, and his road to recovery. Colon’s journey of triumph and resilience is a story for that will touch all audiences.